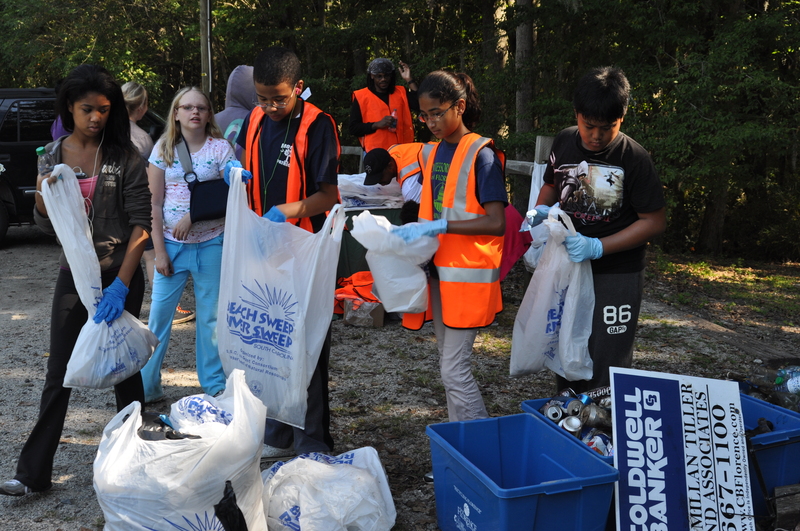 Join us on Saturday, September 21 for the South Carolina’s annual Beach Sweep/River Sweep. Keep Florence Beautiful and the Florence Darlington Stormwater Consortium are once again cleaning at Jeffries Creek Park in Florence. Volunteers should meet at 9:00 AM at the parking lot on DeBerry Blvd. Closed-toe shoes and insect repellent are recommended. Gloves and trash bags will be provided. For more information or to sign up, contact Terasa Young. Help be a solution to pollution!